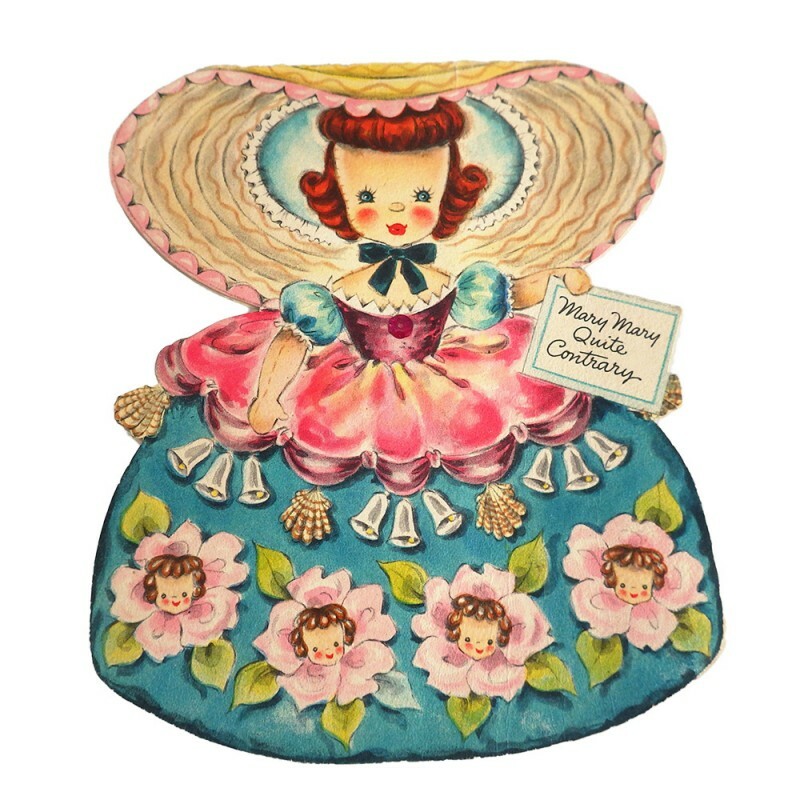 Doll #3 from the Land of Make Believe Hallmark doll card series, this is Mary Mary Quite Contrary, issued in 1947. This die cut card is one of the paper dolls created by Hallmark artist Vivian "Viv" Trillow Smith. The card has a couple of gentle creases, but no tears, and Mary is missing the feather in her hat. Card measures approx. 5-7/8 inch long, 5 inch wide. Marked on the back with simply A Hallmark Card / Viv.